Before you go into the VA Home Loan application process there are a few things that you can do to prepare yourself that will make the overall process easier and more comfortable for you. Here are a few things to consider. Mortgage Loan Calculator: Before you even start looking into any other aspect of the process why not sit down with a mortgage loan calculator? figure out how much house you can afford and what kind of down payment you might wish to make. Remember, VA loans have no VA required down payment in most cases, but the VA loan funding fee is reduced if you put enough money down. Check Your Credit Scores: Go ahead and check your credit scores as early as possible. See how they look and see if there are any instances of identity theft or if there are any errors. It may be helpful to get these taken care of beforehand if you find anything. Your lender will pull credit score data from the three major credit reporting agencies (Equifax, Experian and TransUnion), so should you. Your lender will look for a pattern of reliable bill payments–the “12 month rule” can be a very good way for you to increase your chances of VA loan approval. Home Inspection: A VA appraisal, which is required, is not a VA stamp of approval on an appraised home and it’s not a promise from the VA that the property is defect-free. You should decide in advance that you will pay for a home inspection once you’ve found a property you want to purchase with the VA loan. 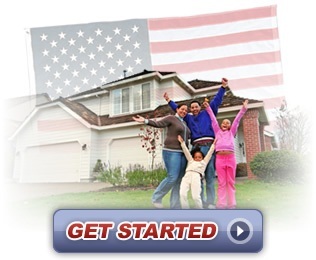 VA Loan Closing Costs: Know what kinds of costs you should prepare for and save accordingly. If you come into the VA loan process ready for those expenses, you will have a far better experience. Learn more about this here. The VA home loan application process doesn’t have to be hard, and your VA home loan specialists will help you through the entire process. However, performing some of these tips in advance will make the whole process even smoother. Does the Department of Veterans Affairs Loan Money?